Are you trying to find Katy TX Karate Martial Arts that can help you and your children increase your karate capabilities? Perhaps you’re trying to figure out how to study martial arts but you haven’t found a dojo that fits your needs. 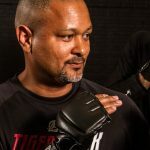 If nothing in your area is making much sense for you, count on the professionals at Tiger-Rock Martial Arts to help you. Our team of certified instructors is here to help you increase your capabilities. Founded in 1983, Tiger-Rock is currently the biggest martial arts franchise in all of North America. We currently have over a hundred locations, and we are constantly growing. We teach a traditional form of Korean taekwondo as well as self-defense and other classes. If you’re trying to learn martial arts and improve yourself, this is the place for you. We have courses and programs that will help you grow both mentally and physically. Martial arts is a great way to reduce stress and anxiety. Are you currently having some problems at work and school? Maybe you’re regularly too anxious to perform at a high level, and your coworkers and fellow students are beginning to notice. This is something we all go through, but it’s important to get it figured out before it’s too late. The last thing you want to do is receive a failing grade or potentially see your job because of a lack of mental health. While there are many ways to improve this, one of the most effective is getting integrated with a karate class. You may be trying to find a good way to boost your self-esteem and confidence. If you’re currently dealing with problems associated with the way you view yourself, martial arts can help. This is a critical feeling that everyone should have, and it will affect nearly every aspect of your life. Are you beginning to feel like you can’t reach your goals, and you don’t have a plan to remove this negative way of thinking? If so, we highly suggest you visit a dojo as soon as possible. Having a healthy mentality is absolutely critical. You’re going to want to make sure you’re able to get through the many hurdles that life will throw at you. If you’re noticing that small obstacles are beginning to discourage you, getting involved in karate can help. Seeing yourself develop skills that will increase your mental and physical capabilities is a great way to instill confidence. If you want to integrate yourself into a Katy TX Karate Martial Arts class, Tiger-Rock is here to help you do exactly that. Our team of instructors is willing to push you to break past the limits you’ve placed on yourself. We know that everybody wants to get better, and our experts are here to help you do just that. There are no shortcuts in our 15-step ranking program, and you’ll have to work to achieve the next level. If you’re ready to transform yourself and become a better, more confident person, this is the place for you. Self-defense is absolutely critical if you’re not sure what you’re going to do if you ever run into an assailant or potential assaulter. Are you someone who walks at home late at night? Maybe you live a regular life, but you still wonder what you’ll do if an attacker approaches you. If you’re trying to make sure you’re properly prepared, enroll in one of our classes. We can prepare you for real-life combat scenarios and make sure you have the confidence and skills you need. Contact our instructors for more information on how we can help you train for a potential attack. 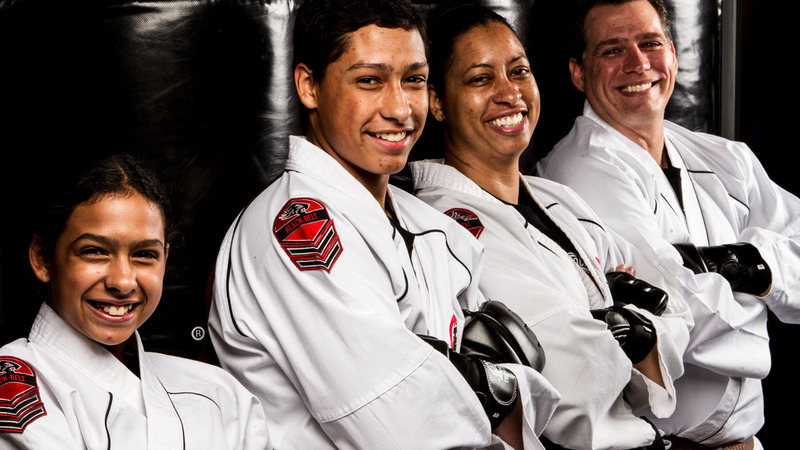 We want your entire family to be able to enjoy karate and martial arts. TRMA has classes and courses geared towards children as young as four years old. Our studio also has plenty of programs such as our self-defense class that is made for adults and older teenagers. If you’re trying to find a dojo that can train both you and your children, visit us and ask about our introductory course package. Studies have shown that the earlier you expose your children to martial arts, the better it is for them. This is something you can take advantage of, and it will help your kids become more disciplined and athletic. Are you an adult who wants to learn Taekwondo but you don’t have any experience? No problem! Many of our older students have no prior exposure to this type of training. We don’t discriminate, and we have years of experience helping all different types of people reach their respective goals. Call Tiger-Rock Katy TX when you need professional martial arts training! While you might feel overwhelmed by all the Katy TX Karate Martial Arts available, Tiger-Rock is the studio that stands out from the rest. Our team of certified instructors is able to teach you traditional Taekwondo with a modern twist. We are confident that you’ll feel more equipped to handle the struggles of life after going through our rigorous program. For more information and details on our courses and classes, reach out to our representatives. We can give you info on our introductory course package and performance evaluations so we can begin your transformation. The city of Katy, Texas is located amongst the metropolitan area of the Houston-Sugar Land-The Woodlands metroplex. While we are far from being an old city, we are just now coming into the limelight. Over the years, Katy continues to build our city into a more modern hub for business, education, and entertainment. If you’re someone who wants to live in Houston but you also really enjoy suburbia, you can experience the best of both worlds in our city. 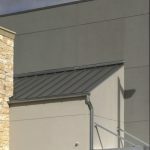 Are you beginning to notice that Cinco Ranch is one of the best neighborhoods in all of America? This is an award-winning community that is beloved amongst Houstonians. You will be able to find beautiful homes for great prices in this area of town.